Therapists use benches in physical, occupational and speech therapy, particularly when the child needs a stable sitting surface to achieve maximum arm and hand movements for play, learning, and daily living activities. 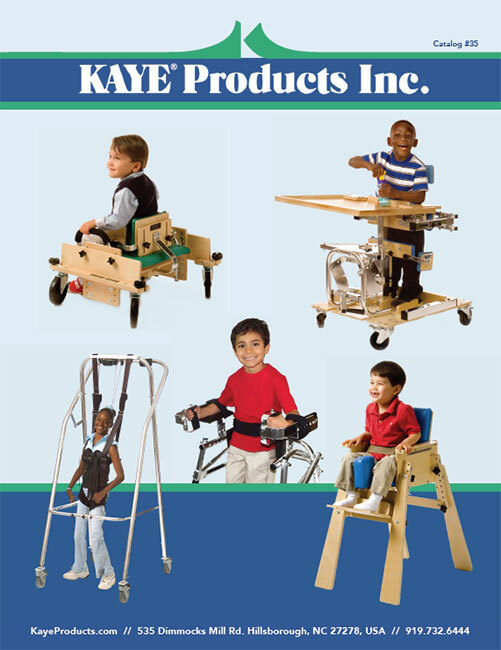 The Kaye Adjustable Benches are ideal for home, therapy, or school programs and for children who do not need back support in sitting but need a firm seat that can be adjusted so that the child’s feet rest on the floor. The solid, stable construction makes the Kaye Adjustable Benches ideal for children learning to move from one level to another, such as moving from the floor to sitting, from sitting to standing, or from a seated position to their walker. The slotted legs make it quick and easy for therapists to raise, lower or tilt the seat surface. Many children benefit from a tilted surface, which places more weight on their feet and aids postural control for better arm and hand function.